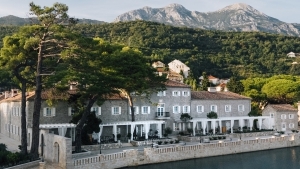 Montenegro has some wonderfully luxurious spas, complete with state of the art facilities and some innovative natural, and aromatherapeutic treatments. Most are stylishly designed, with huge pools, terraces with comfy sun beds, and state-of-the art Jacuzzis. Budva is the place to be for Montenegro's best spas. It also has the advantage of having lots of cafes, bars, and restaurants, and a beautiful promenade for walking and people watching.